Everyone has slipped or tripped and fallen at some point – it’s just a fact of life. Sometimes, it happens because we’re distracted or not paying attention. But other times, it’s due to the negligence of others that we find ourselves severely injured from a bad fall. If your suffered an injury from a slip and fall and believe that it was not your fault, please contact William Waddell. He will meet with you face to face. 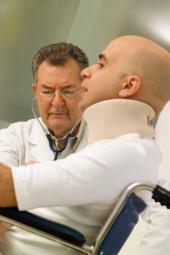 He will contact your doctors to get a full understanding of your injuries. In most cases, Mr. Waddell will arrange to have an engineering expert visit the scene in order to prepare an evaluation of the dangerous condition leading to the fall. Please contact William Waddell today, he will fight for your rights.